Balwant Singh justified coach Sanjoy Sen’s faith in him by playing him ahead of AIFF Player of the Year: Jeje Lalpekhlua, by scoring two goals in two minutes to help Mohun Bagan rally from a goal down and beat DSK Shivajians 3-1 on Saturday. After Milan Singh gave the visitors a well-deserved lead in the 33rd minute, Balwant scored in the 42nd and 44th to go level on points with Kingfisher East Bengal. 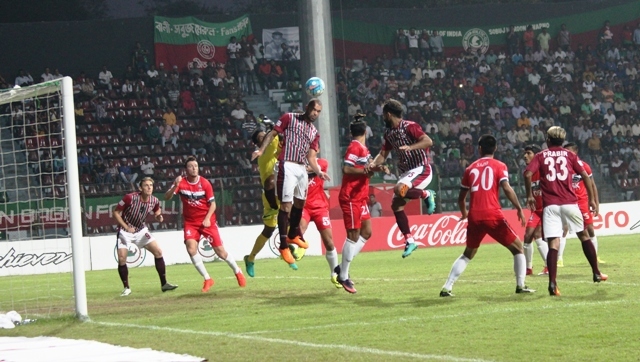 Bagan now have 21 points from nine games, same as Kingfisher East Bengal who stay top on better goal difference. Yusa Katsumi scored from the spot to add gloss to the result in the 89th minute after substitute Jeje Lalpekhlua was brought down by Gouramangi Singh inside the box. Both sides made three changes to their lineup. While Bagan drafted in Subhashis Bose, Sehnaj Singh and Balwant Singh in place of Shouvik Ghosh, Souvik Chakraborty and Azharuddin Mallick respectively, DSK had Nirmal Chettri, Sanju Pradhan and Seong-Yong Kim making way for Sajid Dhot, Gouramangi Singh and Jerry Mawihmingthanga. Bagan were playing a 4-4-2 system while DSK deployed a defensive 4-5-1 with Sumeet Passi the lone man up front. DSK looked the better team in the first half with Quero keeping Bagan rearguard on tenterhooks. The home midfield also looked disjointed lacking zip. It was the Spaniard’s spadework down the left inside channel which set up Milan who beat an offside trap to tap home from close range. 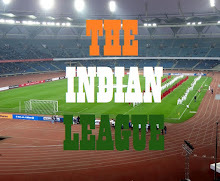 Sanjoy Sen immediately opted for pace, bringing in Prabir Das in place of midfielder Sehnaj Singh in the 36th minute. But in the last three minutes, the match turned on its head. Balwant scored both the goals, first turning in a Pritam Kotal cross which visiting goalkeeper Subrata Paul failed to parry, and then applying a sublime scissor kick to double his tally from another Kotal floater. Bagan started the second half just like they finished their first creating a host of chances with Norde at the heart of every move. The Haitian looked to have found his feet twisting and turning to set up Duffy and Katsumi on two occasions respectively. While Duffy’s right-footer was saved by Paul diving to his right, Katsumi took too long to pass the ball to Balwant who was held off by Gouramangi Singh. Minutes later, Kotal crossed for Balwant who agonisingly spurned over the bar. DSK were further jolted when Sairuat Kima was penalised for wearing the wrong jersey. Towards the end of the game, Sanjoy Sen withdrawn Darryl Duffy and Balwant Singh, having introduced Bikramjit Singh and Jeje Lalpekhlua. Incidentally, Jeje earned a penalty in the dying minutes of the game which was calmly converted by the skipper Katsumi Yusa to lift the Mariners to 21 points from 9 matches, at par with their cross-city rivals Kingfisher East Bengal who are scheduled to take on Aizawl FC tomorrow.